Will a White Roof Reduce the Energy Bills in Your Facility? Dark colors tend to accumulate heat, which is why people tend to stick to light colors during the warmer months of the year. Yet many roofs in America are made with dark tar. This only increases the internal temperature of the structure it’s on. Much like switching to energy-saving bulbs, painting a rooftop white can translate into energy savings. It’s not a new idea either. Iconic homes off the coast of Greece and Italy have long been painted white to keep temperatures low. 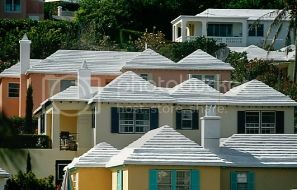 Before central air, roofs were also painted white in Florida. The logic is simple but effective: a white rooftop will reflect heat instead of absorbing it, making them an effective strategy for lowering energy bills by offsetting the warming effect of greenhouse gas emissions. There have been studies that back up this logic, as well as studies that discredit it. It’s a toss up, nevertheless it can’t hurt. It can always be repainted if no significant benefits are observed. A white roof can be achieved by painting or choosing lighter-colored shingles. Something to keep in mind when painting your facility’s roof white: In places where the winter is harsher, you may want to consider that this move may end up increasing your heating bills, since it will absorb less heat. Maintenance will also have to be more constant since wear and tear will be more obvious. If it doesn’t rain constantly, you’ll have to wash it quite a bit. Which means you’ll also have to look into a waterproofing company. You may also want to think about a painting company in California, since it’s a place with compatible weather for a white roof.